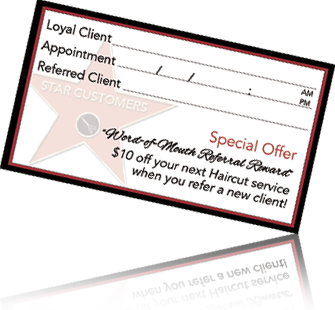 Refer a New Client to Advanced Image Concepts and, upon meeting their scheduled appointment, You will receive a "Thank you" and $10 off your next haircut service! 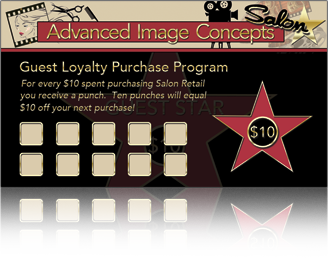 As you purchase your favorite Hair Care and Styling Products, you will receive a Punch Card and a "Star Punch" for every $10 you spend! When you reach 10 Star Punches, you have earned $10 Off your next Hair Care of Styling Product purchase! Copyright © 2015. Advanced Image Concepts Salon. All rights reserved.